Brrr! It’s chilly in March, but the worst of the cold winter weather is over. 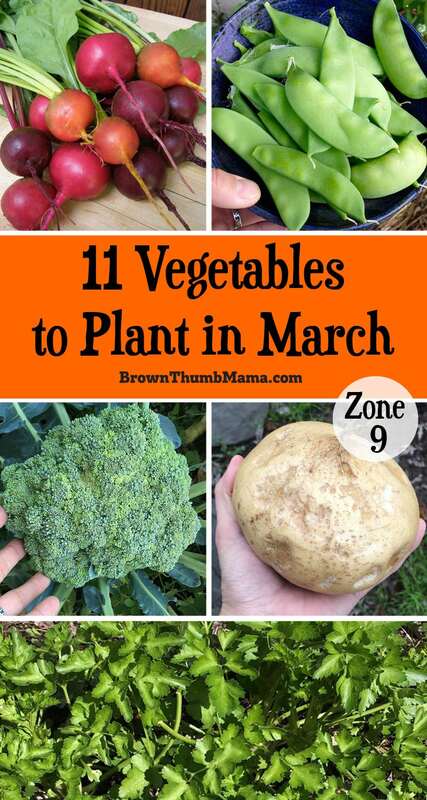 If you’re itching to get outside in the garden, like me, it’s not too early to plant some spring vegetables. Your first step is to make sure you’re planting the right seeds at the right time. 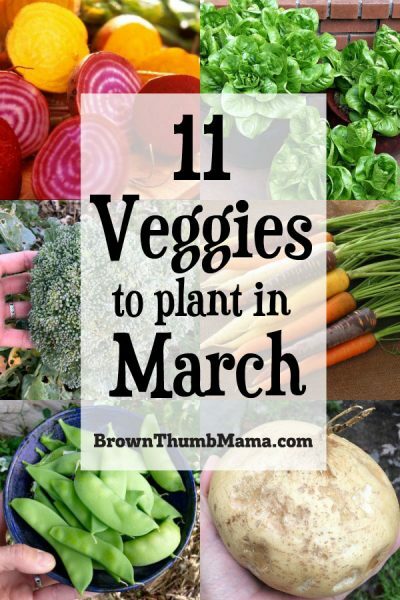 A vegetable planting schedule for your area will help with this. Then check if the soil is warm enough for your seeds to sprout. 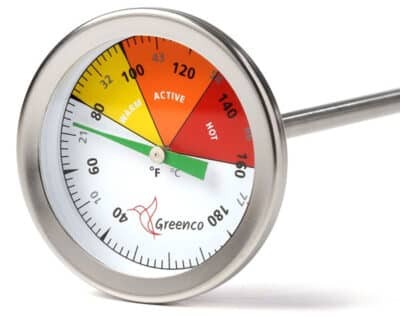 A compost thermometer is going to be your best bet. If the soil isn’t warm enough, the seeds will either rot or will just sit there until the soil is warm enough for them to grow. Next, prepare your soil and add any amendments (compost, natural fertilizer, etc) of your choice. You’re ready to get started! 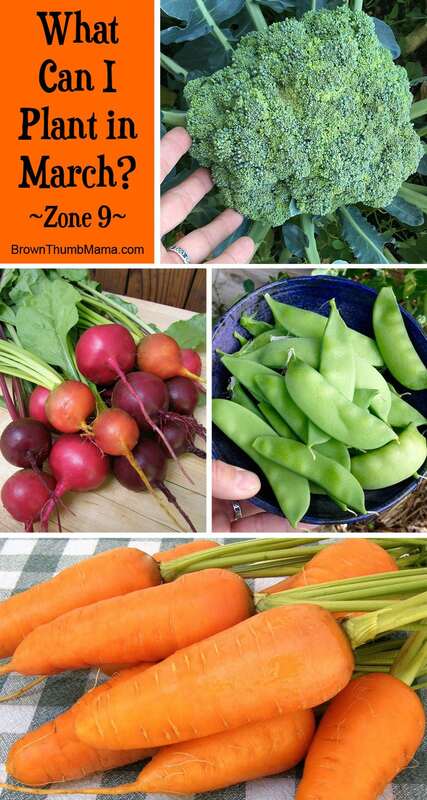 This planting guide for Zone 9 has 11 vegetables you can plant in March for a great harvest this summer. Not sure what planting zone you’re in? This interactive map will tell you. If you never can seem to use up an entire head of celery from the store, you might think that growing it doesn’t make sense. Au contraire! If you grow celery in your garden, you can harvest individual stalks as needed for amazing flavor and no more wasted heads of celery. I like “Utah” celery from Botanical Interests. 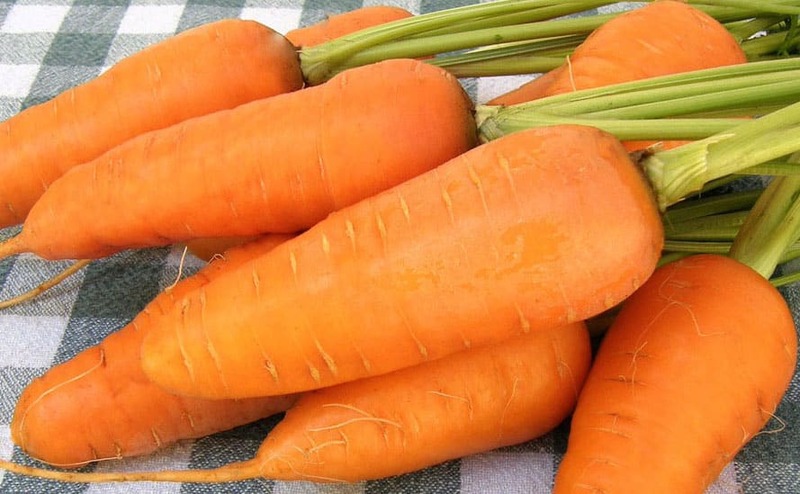 There are many different shapes, types, and even colors of carrots you can grow. It’s fun to choose—your kids will probably want to try several different types. Carrots like loose soil and consistent moisture, and can even be grown in containers. Our favorite is Short Stuff Chantenay. 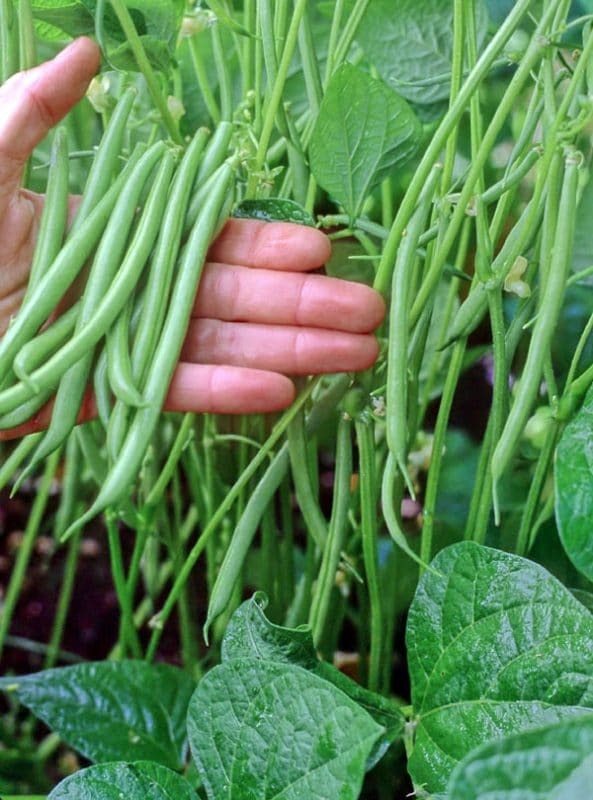 I’ve planted many different types of bush beans and pole beans in our garden, and I like filet green beans (also called “haricot verts”) the best. Filet green beans are thin and sweet, so you don’t end up with mealy, lumpy beans. Pole beans will climb, so they need a pole or trellis. I’ve had great success with Emerite filet pole beans from Renee’s Garden. Bush beans are great in containers or in raised beds. I recommend Rolande filet bush beans from Renee’s Garden. With beautiful edible lavender-pink flowers and delicate onion-flavored foliage, chives should be in every garden. Chives are easy to grow from seed in almost any soil, containers, or a sunny indoor windowsill for use year-round. They’re great companion plants for strawberries! 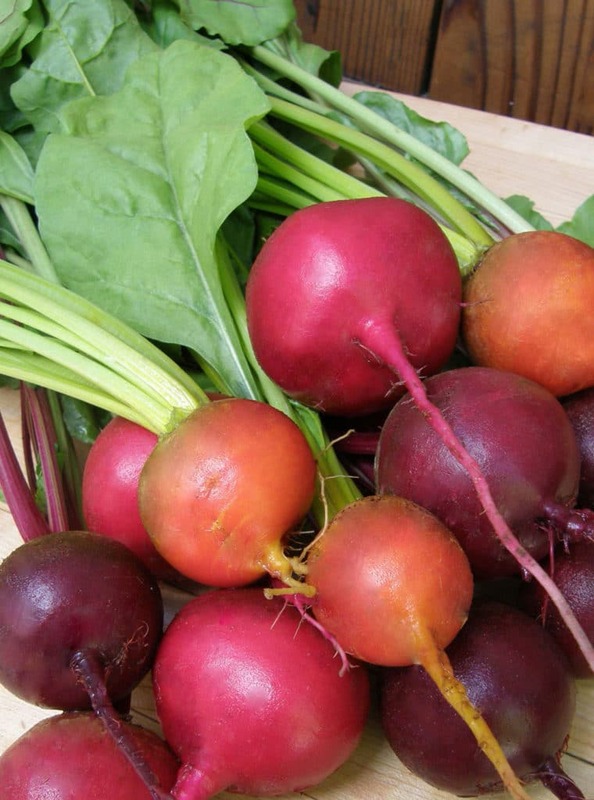 Fresh beets are nothing like those awful canned things we had as kids. I like to plant Jewel Toned Blend which has Red Sangria, Striped Chioggia with interior rings of bright pink and white, and Golden with bright yellow flesh. Aren’t they beautiful? You can set out your broccoli seedlings in March. 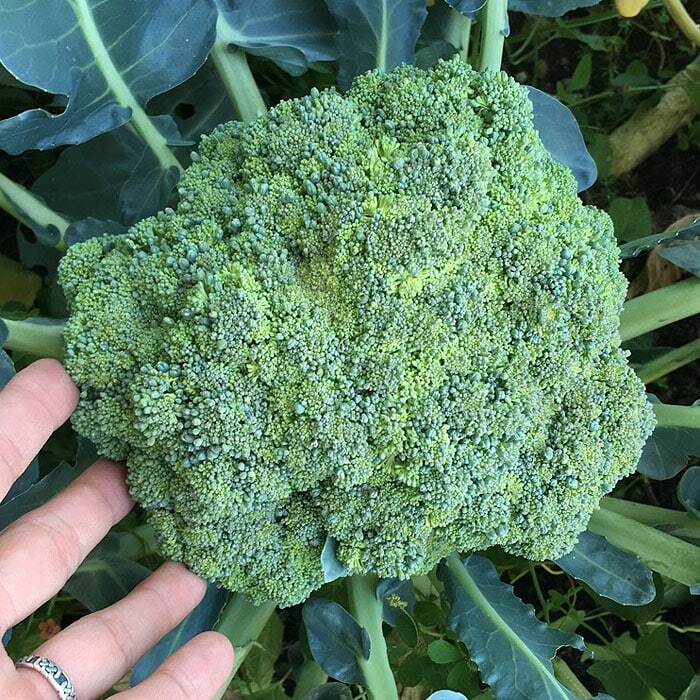 I usually get seedlings from the garden center, but if you prefer starting from seed Broccoli Di Cicco is a good choice. Be sure to keep those seedlings covered so the cabbage worms don’t eat your harvest–here’s a nifty garden hack to help with that. Leeks are an onion relative with compact stems that thicken, but do not form bulbs like onions. Their mild flavor is amazing in potato soup, or cooked with a pot roast. You can plant seedlings from the nursery or start American Flag leeks from seed. Mild and crunchy, jicama is easy to grow and great for snacking. It needs a long, hot growing season to produce well, so starting seeds in March will give you a good start. 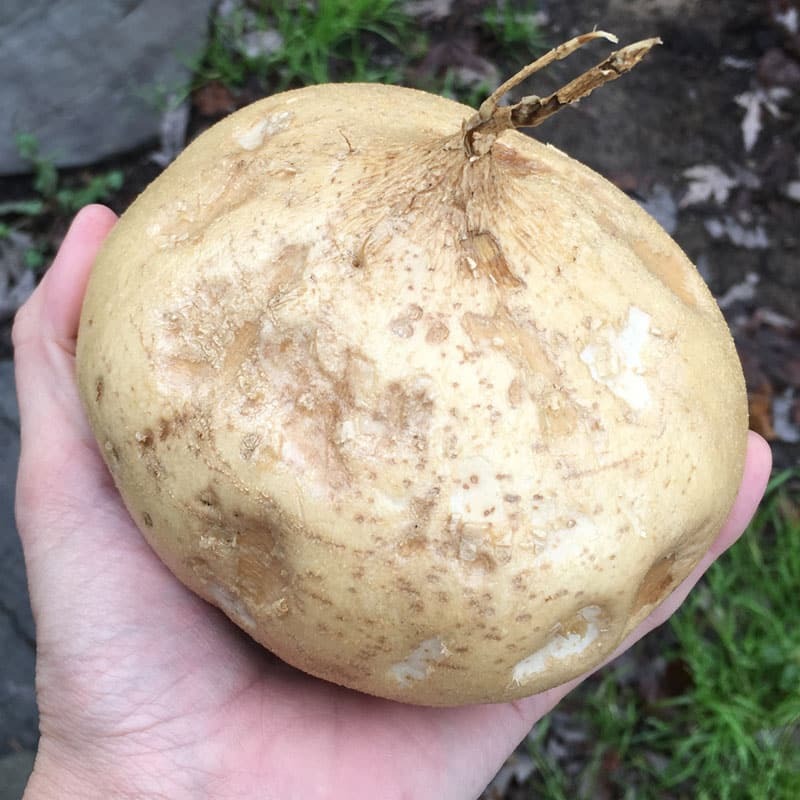 Learn more about planting and growing jicama here. 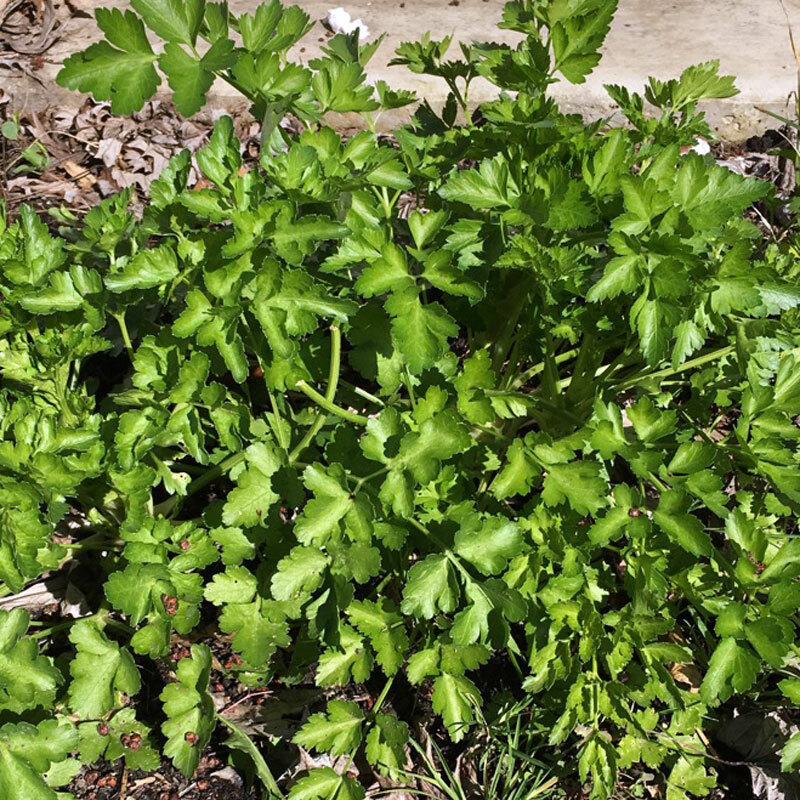 I have a large patch of Gigante flatleaf parsley right by the kitchen door, so I can pop out and pick a handful whenever I need it. It’s great to use as a garnish and it gives a pop of freshness to dishes like Instant Pot Beef & Onion Soup. Lettuce does not like hot weather, so plant it as early as you can in the season. Sweetie Baby romaine lettuce is long-lasting, slow to bolt and heat tolerant–perfect for growing in containers or small space gardens. It makes small, compact heads that are great for serving one or two people. Early spring is the best time to plant peas–either snow peas, snap peas, or shelling (English) peas. We are big fans of snow peas around these parts. Our favorite is Oregon Sugar Pod II. It produces giant, tender snow peas that you can eat right off the plant. 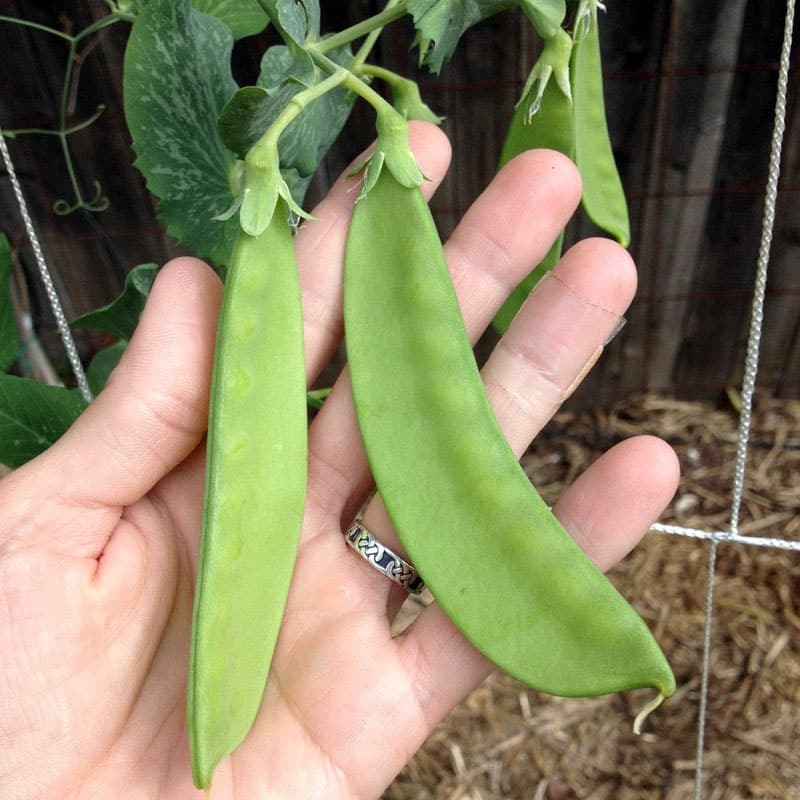 Here’s a bunch of information on planting and growing snow peas. What are you planting this month? 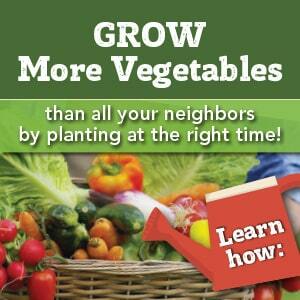 If you aren’t sure what to plant this month, get a customized vegetable planting schedule and get out in the garden! Beets, bean, and carrot photos courtesy of my friends at Renee’s Garden. I just found you after listening to Side Hustle School and I am so glad that I did. I enjoy basic gardening and your advice is very helpful. Thanks so much!